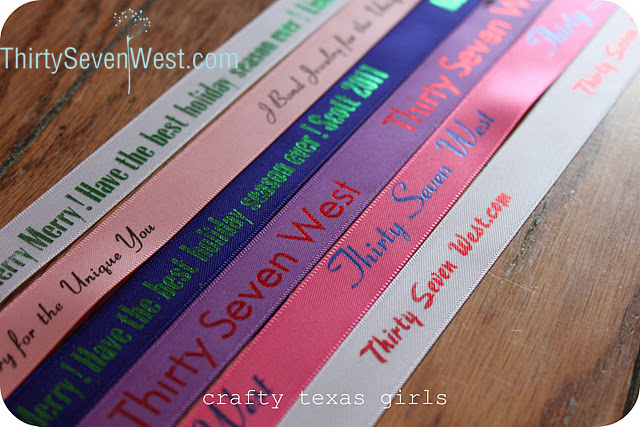 Month: March 2014 - ThirtySevenWest ThirtySevenWest - Creative ideas about personalized custom ribbons, woven tags and labels, personalized gifts and more!!! Many small business owners are constantly looking for ways to help their businesses strive in today’s economy. There are many challenges they must face because of the larger businesses that have practically taken over the business world. It seems people like the convenience of the “shop for everything in the same place” store. More and more often though, people are looking to return to the small businesses in their communities. Using custom logo ribbon can help small businesses market their enterprise with elegance and effectively enhance name recognition while adding a personalized touch to their products at the same time. Creating business ribbon with your company’s logo on it can help spread the word of your company and your products and create a lasting positive impression of yourself. For example, several years ago my niece gave me a beautifully carved wooden nativity scene. Collecting nativity scenes is one of my favorite hobbies. Later on, I decided I would like to see what other types of nativity scenes the company carried; however, there was no company name on the nativity scene I received. When I asked my niece where she purchased it, she told me she had purchased it at a kiosk in the mall, but she had been to several different malls while Christmas shopping and could not remember which one. If the owner of the business had added a custom logo ribbon, I would have been able to search online and find the business. This overlook on the business owner’s part ended up costing him or her future sales. It probably cost him or her the business of more people than just me for similar reasons. By adding custom logo ribbon, small businesses can help consumers track them down in order to make future purchases. This becomes a domino effect. If people like your products, they will continue shopping at your business. There will no longer be the worry of wondering if people who shop with you will remember the name of your business because you have given them something with your personalized logo on it to help remind them. When people become frequent customers, it is inevitable they will begin advertising for you via word of mouth. Your merchandise will be in their homes. At some point they will have guests in their homes who will take notice of your work. Those guests will ask where he or she got the item or better yet, they will see the custom logo ribbon attached, and ask where you are located. Your business’s personalized ribbon becomes a form of advertising. Larger companies spend countless dollars on purchasing advertising every year, anything from television commercials and online ads to billboards. Small businesses simply cannot afford to spend as much money on advertising as the larger businesses. 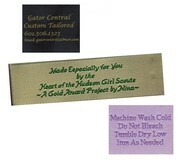 Custom logo ribbon is an inexpensive, yet effective way to advertise for your small business. As a small business owner, it is important you keep your expenses down in order to retain a profit. Saving money on advertising is more money you can put elsewhere in your business or in simply trying to survive in today’s economy. A dollar simply does not stretch as far as it used to. Another way personalized ribbons can benefit your small business is by adding a personal touch to your product. In general, most people like to feel connected in some way when possible to other people and even the products they buy. I was recently in a small business in a town a couple of hours away from home. We were attending a softball tournament, and although it was October, it was unseasonably cold that day. I walked in to a small shop beside the restaurant where we ate lunch at and was immediately drawn in to this quaint shop. The outside door was purple and yellow, and the window was decorated with a colorful display of the merchandise. The presentation of the outside of the store simply invited me in. I would go so far to say that it beckoned me to come in. Upon entering, I was greeted by an extremely pleasant young lady with kind eyes and a smile. Most of the merchandise had been hand made by her. She and I talked for a while, and I ended up buying a crocheted hat to wear on my head for the rest of the day. It quickly became my favorite. Every time I wear that hat, I think about the lovely conversation I had with its maker. While I am certain I could find her shop again, I cannot remember her name or the name of her business. If she had personalized her products in some way, it would help me remember. Her business is two hours away, but if I had the name of her business, I would definitely try to see if it were possible to purchase items from the internet. She made a personal impression on me. Her kindness makes me want to give her more of my business, not to mention the quality of her product. Thirty Seven West understands the struggles small business owners are undertaking on a daily basis. One of our main goals is to help make advertising easier for small businesses in a way that not only is cost effective but also adds a personal touch to your product. Whether your business already has a custom logo and you simply need to order your logo ribbon or you need help in designing a personalized ribbon for your business, you have come to the right place. I cannot believe any small business owner wants to be like the one I mentioned earlier that was unattainable and forgotten because there was no way to trace the business my niece bought the gift from. Custom logo ribbon creates an easy, elegant way for your customers to find you again, but it also provides an affluent touch and demonstrates the pride you have in your quality product. Contact us today to discover more about this versatile, affordable marketing technique. In the closet in my spare bedroom, hang homemade dresses my mom sewed for my only daughter when she was a little girl. Today my daughter is almost fifteen. It may not be important to her now, but someday she will want her daughter to wear those dresses. Someday she will tell her daughter stories of her Nana who use to sew her pretty clothes. Perhaps those dresses will be worn by several generations to come after her. 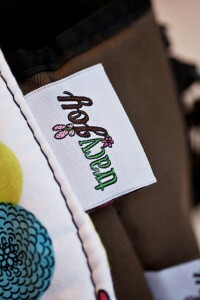 Stitched in the back of each dress is a personalized clothing label. Adding a custom clothing label to your work is about more than just taking credit for your work; it is about adding sentimentality to your creations and planting memories that will not be forgotten. Someday when my mother is no longer with us and my granddaughter is wearing one of the beautiful dresses she made, I will be able to show her the clothing tag my mother stitched into the back of the dress when she made it. I will be able to tell her the story behind the dress after showing her the clothing label. She will link the custom label with the story and her grandmother, and then one day down the road she will be able to tell the story to her own daughter after showing her the clothing label. It will become a family tradition, a link to the past. My favorite is a dress my mother made for my daughter for Easter Sunday, with puff sleeves and a full skirt. The colors are bright pastels: pinks, purples, yellows, and blues. And the apron that is worn on top of the dress is decorated with rabbits and eggs all brilliantly colored. It was made with a certain frilly three year old in mind. Lace and ruffles were a must. She loved that dress, and one day perhaps her daughter will as well. When you add a customized clothing label to your work, you are truly adding your signature to something that could otherwise become devalued because over time people forget the origins. We all have pictures of relatives in a box somewhere that we have no idea who they are because no one bothered to take the time to write their names on the back. How sad their names are forgotten, but more than that their stories are forgotten! Whether your personal creation is for a family member or a gift for a friend, by adding a custom garment tag you are helping preserve a piece of history. Doesn’t the time, effort, and thought you put into your creation deserve to be remembered? Clothing labels and tags can also be the perfect addition to the corner of a homemade quilt for the same purpose. When I graduated college, my mother made me a beautiful 1,001 Nights quilt in varying shades of purple. On the back corner of the quilt, my mother added a personalized woven label. Someday one of my grandchildren may be shivering with cold on a winter’s night and pull out a quilt from the cedar chest in my bedroom. Maybe a granddaughter whose favorite color is purple will fall in love with its colors and design, and I will pass it down to her as long as she promises to repeat the story of its origins when she passes it along to the next child. My mother will have made the storytelling process much easier because she added a custom woven label. 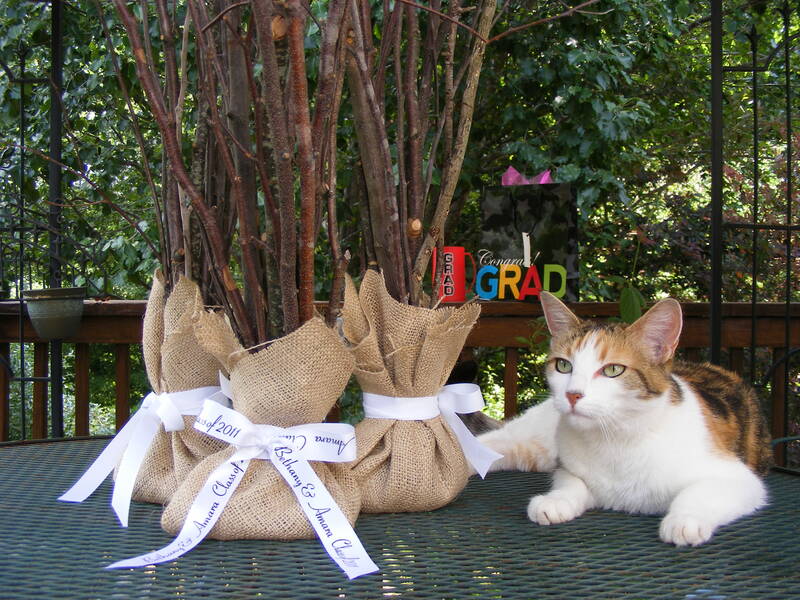 She wanted to ensure that her gift of affection was not forgotten, and a custom woven label is an excellent method of preserving family history. The quilt can be used as a means of telling the story about the first generation in our family attending and graduating from college. Personalized clothing labels and tags also allow you to leave a signature on your work. Use custom labels to make a statement about who you are as a person. Thirty Seven West’s wide variety of clothing labels and tags will make it easier for you to find a design that will work best for you. Let us help you customize your creation in a way that will ensure future generations will not forget your impact on your family and friends. Perhaps you are known by your family and friends as the bookworm or a pirate wanna be. Thirty Seven West has a label for you. Our variety of available designs will ensure you find exactly what you are looking for, or simply contact us and our talented staff of artists will halp you create original artwork for your custom woven label. The shape, size, and colors you select can inspire many questions from future generations about who you were and what you were like. There is no way any one person can live forever, but with the help of personalized clothing labels from Thirty Seven West, your memory and contributions can live for many generations to come. Don’t be the relative no one remembers or that didn’t leave behind something from the past. If you are going to create clothing or quilts for you family and friends, why not add a personalized label or tag to ensure your authorship is not forgotten? It can be as simple as adding a custom label to the back corner of the quilt you made for your daughter’s wedding. When people grow older, they are typically drawn to their roots. Give your descendants something to find, some piece of you left behind to give insight into who you are, a piece of the past to be remembered and cherished. Thirty-Seven West can help you create the perfect label for the purpose you intend. No longer will handmade clothing items, quilts, or other items be passed down from generation to generation only to be discarded because everyone has forgotten their origins. Customized clothing labels will help keep the memories intact for all of those who come after, creating a rich heritage for future generations.